Everyone seems to think that joining a gym or starting a diet will make them healthy. There is one very basic problem with these methods. Once the membership at the gym ends, and the eight week diet plan is over, the chances are good that most people go back to their normal routine of eating and not exercising. With a small investment of time, these techniques will help you change your lifestyle t… o a healthier way of living. A few simple solutions that won't cost a fortune, that are easy, and you will barely notice that you are doing anything different. 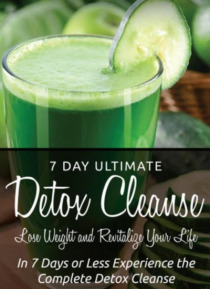 Using the book 7 Day Detox Cleanse will put you on the right path to a healthy lifestyle.